Just days after ET reported “tension” between Kate Middleton and Meghan Markle, a new report from Britain’s The Telegraph highlights some of the issues between the Duchess of Cambridge and the Duchess of Sussex. Multiple sources told the newspaper that Kate was left in tears following a bridesmaid dress fitting for her daughter Princess Charlotte for Meghan Markle's Royal Wedding. “Kate had only just given birth to Prince Louis and was feeling quite emotional,” an insider told The Telegraph. Kate welcomed her third child in April and Meghan and Prince Harry tied the knot in Windsor, England, the next month. This incident happened around the same time that Meghan had reportedly “upset” Queen Elizabeth by asking to wear an emerald tiara instead of the one offered to her by Her Royal Highness. 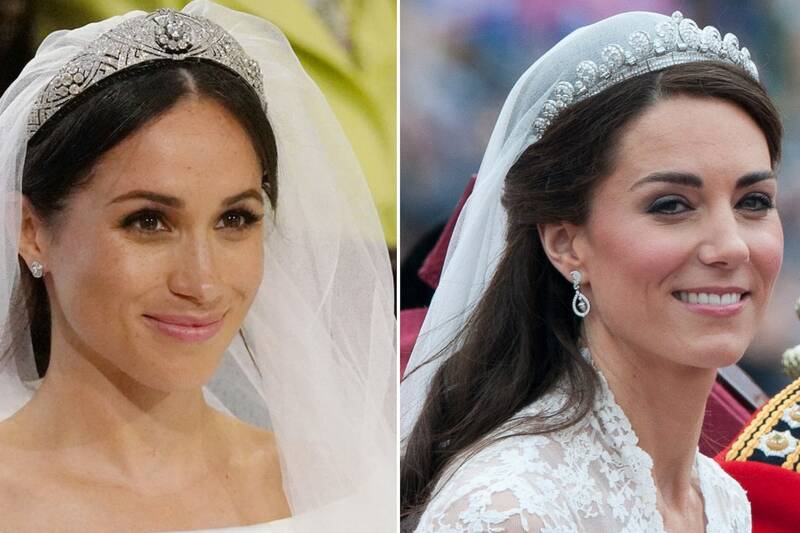 Meghan recalled visiting Buckingham Palace to pick out her tiara in a recording for the Royal Wedding exhibit, calling the day a “surreal” experience. The Telegraph goes on to note that the attitude “below stairs” has not been positive toward Meghan with some staff saying they give the relationship “five years.” Reports of Meghan’s 5 a.m. wakeup calls and email “bombardments” of staff have raised some eyebrows, with some attributing the attitude to the former Suits star’s past Hollywood lifestyle. The Telegraph does note that one member of the royal family who is “completely taken” with Meghan is Prince Charles, with insiders saying it was Meghan’s influence that led Harry to have a closer bond with Charles. A royal source previously told ET, “Meghan and Kate have different interests and lead different lives,” adding that there “has been some tension,” between William, Kate, Harry and Meghan.